Just a sneak peak of an expo where I will be joining with artwork. Making a special contribution for the 100% design fair in Johannesburg this year. 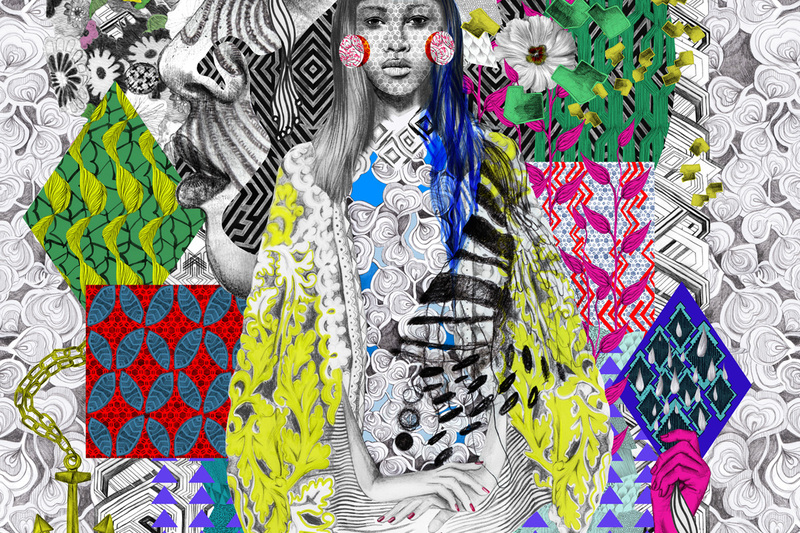 10 designers who work together with Robin Sprong Wallpaper / cape town were asked to make a commemorative cloth. Celebrating their icon of African design. Obsessed by prints , specially the African Wax and their use. They inspire me daily to create my own style alternative to African Wax print.But it’s not only the patterns themselves that are great, the hidden messages that are carried out in the cloth daily by the woman make it even more special. For 100% design I tried not to use the known cloths and the usual symbols, as the symbols and meanings are made up by the women who sell, buy and wear. Celebrating the power of woman with their message for the patterns they wear. For this icon I made my own small prints for all the elements. Using the anti-minimalist approach of putting everything together ; More is more. The shape and composition in this commemorative cloth is inspired by the old age iconography; using a nimbus to accentuate the glory of a divinity.